The World Association of Nuclear Operators (WANO) is encouraging governments worldwide to ensure that national export control laws do not adversely affect WANO's ability to maximise the safe operation of commercial nuclear power plants. Export controls ensure that goods, equipment and technical information exported from a country or area do not contribute to the proliferation of nuclear weapons, and also protect national and international security by restricting access to sensitive nuclear technologies, materials and capabilities. However, some nations' export controls arrangements are impacting the ability of WANO to conduct activities focused on the safe operation of existing commercial nuclear power plants. 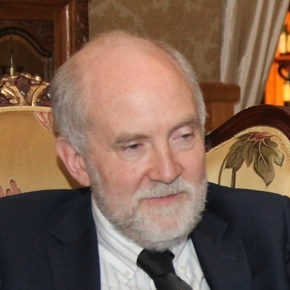 Peter Prozesky, Chief Executive Officer at WANO stated: "For each nation or region, the scope and depth of governmental supervision on export controls over organisations should be proportionate to what type of organisation it is, its track record, and the risk to proliferation it poses." "WANO is not a commercial entity, it has no political affiliation and has worked effectively with nuclear operators to improve safety and reliability of power plants for almost 30 years." "Restrictions resulting from export controls can hamper WANO's ability to conduct its important safety mission. We are keen to continue to engage and work with national governments to develop an appropriate, risk based approach to export controls laws." WANO's policy is to avoid exchanging information that is subject to export controls. WANO is primarily focussed on assessing management processes and behaviours relating to safety - and not technology transfer. However in recent years, there have been increasing instances where some WANO employees - depending on their own nation's policies- are unable to participate in WANO peer reviews and member support missions at other member plants. WANO's peer review teams requires a mix of nationalities, experience and expertise to deliver the best possible safety oversight of and support to individual nuclear power plants. The situation has become more challenging since the Nuclear Suppliers Group (NSG) revised its Guidelines in 2013. WANO's activities have been affected by some countries adopting a more conservative interpretation of the revised Guidelines. Other factors - such as individual nations' concerns about the appropriation of intellectual property or bilateral government security agreements - have likewise had an impact on WANO's work. Prozesky continues: "WANO has a unique global role in working closely with commercial nuclear plants worldwide to enhance commercial nuclear safety and reliability. It has been key to raising global nuclear safety levels in all countries with commercial nuclear power plants since its formation." "It is in the interests of every country, government, nuclear operator and the general public globally that WANO is able to fulfil its mission. We are engaging with the NSG and national governments to explain our position and key role. While we respect export controls rules, we urge governments to recognise the role of WANO and to minimise the effect of export controls on WANO's activities - as we all agree that the highest levels of global operational nuclear safety is in everyone's interests."